In my opinion, the second greatest, and, second most interesting person in all of history was Abraham Lincoln. In so many ways, the man was simply amazing. He was an intensely private man, and was often depressed. Yet, he could be the most gregarious of men, and was certainly one of our funniest presidents. He would light up even the most somber situations with his hilarious jokes and his stories from the frontier. His humble beginnings are well-known, and he remained a humble, self-deprecating man. 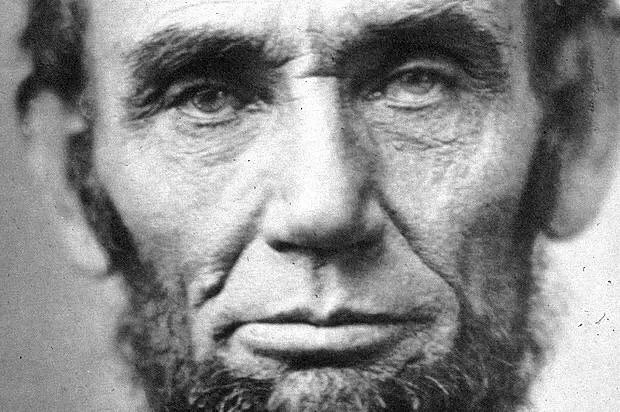 One time someone in a crowd yelled out that Lincoln was nothing but a ‘two-faced politician.’ Lincoln calmly replied, “Friends, I have also been accused of being ugly, so really, if I had two faces, do you think I would choose to wear this one?” He never considered himself above anyone else, and treated even servants, runaway slaves, and wounded Confederate soldiers with respect and kindness. Yet, he was very capable to take control of, and master, even his most powerful opponents. His logical mind could fully grasp all sides of a complex issue, and his brilliant eloquence would often persuade even his bitterest enemies. He pursued victory in the Civil War in order to preserve the Union, even though it was at a brutal and heartbreaking cost. He was a skilled politician in a time when it took almost superhuman skill to lead a divided Congress to amend the Constitution and end slavery in all the states. He was able to persevere in all his public duties while enduring great pain in his private life, with the death of two young sons and the burden of an emotionally unstable wife, who would, in time be committed to a hospital for the mentally ill. He was a formidable opponent, but was gracious and forgiving of personal enemies, and, of the defeated Confederacy. I could easily spend years reading and rereading everything by and about this fascinating man. But, I am not going to do that because remember, Abraham Lincoln was, in my view, the second greatest and second most interesting person in history. I want to keep reading about and learning more about the most interesting person in history– Jesus Christ. Of course, Jesus is more than a person; but he was a person, who lived a human life, in history. But who really was Jesus, or, we might ask who Jesus is? Even the way we ask the question reveals something about what we believe. When I was referring to Abraham Lincoln, I used the word ‘was’—Lincoln was a great leader, Lincoln was a brilliant politician, and he was a great man. Abraham Lincoln has been dead for 152 years, so everything about him is in the past. When Lincoln died the morning after being shot in the head, Secretary of War Edward Stanton said “Now he belongs to the ages.” He was great. We use the past tense when we are talking about someone who has died. Christians don’t talk about Jesus in the past tense, but in the present tense, which is used when speaking about someone still alive. Jesus IS Risen, Jesus IS my Lord and Savior, and ‘what a friend we HAVE in Jesus’– not HAD. I think it would be fascinating to have a conversation with Abraham Lincoln, but needless to say, that isn’t going to happen. But I do believe Jesus does hear me when I pray. The above story took place when Jesus was well into his ministry. Everyone had been talking about him, and earlier in the Gospels, people were always asking, “Who is this man?” Ten different times in the Gospels we see this question. Who is this man, that even the wind and the waves obey him? Who is this man that can give sight to the blind? Who is this man that can make the lame walk? Who is this man that thinks he can forgive sins, for only God has the authority to do that? And who is this man that says ‘I and the Father are One,’ as if he were God himself?